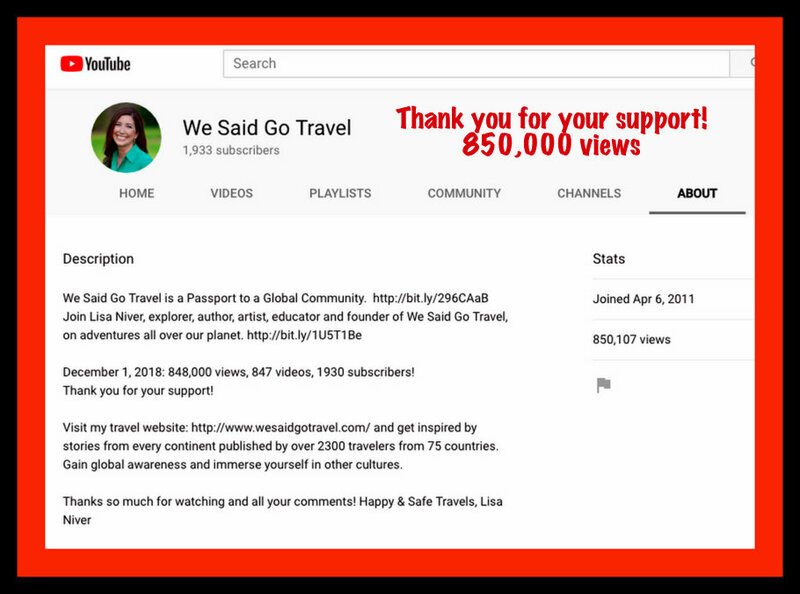 I am now using the LG V40ThinQ and it is the 4th LG phone I have used for my We Said Go Travel YouTube channel which now has 850,000 views and 1.4 million impressions in 2018. As you can see, the photo quality is stellar! It actually has FIVE CAMERAS and a feature called Flash Jump Cut which makes gifs! and with 2 front cameras–the selfie game is at a whole new level! I love the wide angle lens and that they still have a headphone jack! Best Camera for Travel? LG G4 Phone! Want to know the specs for LGV40ThinQ? Read about it on CNET. The Good The LG V40’s five cameras give you a variety of photography options. The phone has a 6.4-inch screen, but is still comfortable to hold. It’s water resistant, has expandable memory and a headphone jack. The Bad The LG V40’s slew of photo and camera tools can be overwhelming to navigate for a casual photographer. Its battery life is average. When our ancestors received the Torah, they stood at a mountain. When we celebrate receiving the Torah on Shavuot, we will stand in the pews. They looked at the sky; we will look at the ceiling. They were warmed by the sun; we will be cooled by the air conditioning. I am a rabbi in a synagogue. But before I am a rabbi in a synagogue, I am a rabbi in the world. Increasingly, our Judaism is walled in, confined to the fixed seats in the standard rooms designed with vaulted ceilings and an elaborate ark. There are variations — some sanctuaries have windows of clear or stained glass, seats that move or are fixed and bolted, men and women sitting separately or together. Nonetheless, they are resolutely indoor spaces. We invoke the stars as we look up to the lighting fixtures. As Churchill said, we shape our buildings and thereafter they shape us. But outside is the world. Essayist E.B. White once wrote that everything changed the day man walked on the moon because instead of going outside to see the moon, people watched it inside on their television sets. That peculiar reversal afflicts Jewish worship, as well. We bless the natural world without being in it. We praise God’s creation as we sit in concrete boxes fashioned by human beings. For generations, this was accepted and understood. Today, I believe we will lose young Jews if we do not take Torah to the streets — and to the beaches, to the mountains and to the forests. Nearly three centuries ago, Chasidism revitalized the spiritual life of Jewry. There is a reason Chasidism grew up in the forest, as there is a reason why Jewish camping is the most successful modern movement in Jewish life. If you live in a city, at night you see the magnificence of the lights — a testament to the grandeur of humanity. If you go to the country, you see the canopy of constellations — a testament to the grandeur of God. Which is more likely to inspire the devotion that is the wellspring of Torah? This is hardly a new idea. Judaism was born in the desert; we are a people of tents and star-sewn nights. Wandering by fire and smoke, we scraped manna from the ground. As we entered the Promised Land, crops and harvests shaped the cadences of life. Today, numerous groups are recalling our origins, such as Wilderness Torah, synagogues that create trips and experiences, and groups like Chabad that consciously practice outdoor worship. In Los Angeles alone there is Nashuva in Temescal Canyon, Open Temple, the Malibu Jewish Center & Synagogue with beachside services, and others. And when at Sinai Temple we inaugurated our millennial initiative earlier this year, it was understood that it had to focus outside our walls. Inspiration lives more in clouds than in concrete. As the rabbi of a mainstream congregation who understands all the challenges of parking and building maintenance, I want those of us comfortable in our seats to start pushing the walls outward. We have to send our clergy and train our laypeople to initiate prayer anywhere and everywhere. There should be minyanim at the mall, blessings in the bar and Torah under the trees. Even large synagogues must increasingly create small, organic experiences particularly focused on the outdoors: shabbatonim at camps and retreats, morning minyan hikes, Shabbat services in the park as we now do for families on Friday evenings. Grander possibilities, too, may take hold: worship cruises or Shabbat at the Hollywood Bowl. Younger people are not drawn to the spaces their elders have created. They are drawn to the world — to the bustle of people in the market and the stillness of solitude on the mountaintop. “The heavens declare the glory of God,” as the Psalmist wrote. Our love of nature looks beyond the beauty to its Source. It is a therapeutic value and a spiritual imperative. The Torah begins with human beings in a garden, and cultivating nature is part of our tradition, as well. Planting and reaping and sowing are the rhythms of the Jewish year. This holiday of Shavuot is the culmination of the harvest. This was the first day when Israelites would bring fruit from the “seven species” of the Land: wheat, barley, grapes, figs, pomegranates, olives and dates (Deuteronomy 8:8). Having grown the food, offering it was a product of their labor and their love. We are accustomed to study on the holiday, but surely we also should touch the soil and understand anew that the Torah began not in urban structures but on hills and pastures. On this holiday of Shavuot, we stood at Sinai, amid thunder and lightning. The power of the natural world enfolded Israel and prepared them for the spiritual peak of history. The Torah may be studied, cherished and taught indoors, but it was given in the immensity of open space. The return to Eretz Yisrael, to the land of Israel, was a renewal of the Jewish connection to the earth. We in the Diaspora more fully embrace our tradition and our past when we cleanse our souls by dirtying our hands. There are great advantages to buildings — the gathering together, the fixed place for community, the facilities and, of course, dryness and comfort. Many are artistically and sensitively rendered. No one would advocate abandoning our structured communities. The place of spaces for worship, as for all sorts of gatherings, is certain and secure. Buildings give us classrooms, opportunities to memorialize, a sense of fixed and settled places. But we have to grow past the walls, to create flash mobs of Torah, where spontaneous and genuine learning happens. When I first went to Camp Ramah as a child, I came home and asked my father, the rabbi of a large congregation in Philadelphia, why we needed a building. I had just prayed all summer long next to a tree, and it had a power beyond what I found in my home synagogue. My father told me that when he was growing up, neither he nor his friends felt as accepted as the Irish Catholics of Boston. The non-Jewish community worshipped in magnificent churches and the Jewish community believed, all across America, that if one day our synagogues could be as grand, we would be equal. So when his generation grew to adulthood, they wanted buildings as beautiful as the Christian churches, to show they had arrived. The fact that you don’t need them, my father said, means we succeeded. Jews have long since arrived. The structures of modern Jewish life are stolid, imposing and sometimes genuinely magnificent. But we inhabit a rich, blooming garden of a world. To live in Los Angeles and never pray on the sand, or while hiking a trail, is to turn one’s back on so much that God has given. When my niece, a rabbinical student, was married, we celebrated Kabbalat Shabbat in the forest. We sang “Lecha Dodi,” and it was possible to envision the mystics of Safed, where the prayer was written, watching the sun setting over the mountains. I saw the shadow tracery of the branches dance on the ground as the sky darkened. Shabbat did not come through the window; it came through the world. I cannot move our Saturday morning service to the middle of Wilshire Boulevard or to Will Rogers State Historic Park. There is no place for a thousand congregants or the various accommodations that must be made in a modern city. But it is time to begin to think about when we can step out of our building. As we do taschlich by the ocean, we should create regular opportunities to touch the earth, to pray on a mountaintop or by a beach, to walk and learn, to remember that God’s first and greatest act is creation. When God asks if we offered praise in the beautiful corners of his world, let us be able to answer “yes.” Take your prayer to the park, your minyan to the mountain and your blessings to the beach. Will returning to nature “save Judaism”? Who knows. But it will certainly save some Jews. There is a blessing in our tradition for seeing natural wonders — oseh ma’aseh bereshit — the One who accomplished the work of creation. Let us step out from behind the walls, throw our arms and voices up to the sky, and bless God, whose miracles fill the earth. David Wolpe is the Max Webb Senior Rabbi at Sinai Temple. His most recent book is “David: The Divided Heart” (Yale University Press). Pico Shul and JConnect invite you to celebrate their annual Lag B'Omer bonfire at Dockweiler State Beach on Thursday, May 7. Bring blankets, food and alcohol (no glass bottles) and join this group at 6:30 p.m. for a night of music and fun! Feel free to grab your guitars, tambourines or bongos to take part in the jam sessions. Parking is $15 dollars; if you park along the highway, you risk being towed at 10 p.m. sharp. The exact location of this magical night will be posted on their website on that Thursday afternoon. For more information visit www.picoshul.org. Dockweiler State Beach, 12501 Vista Del Mar, Playa del Rey. Join Nashuva for their Lag B’Omer Beach Bonfire on Wednesday, May 6 at 7 p.m. There will be BBQ, music and s’mores! Nashuva will provide hot dogs and all the makings for delicious s’mores but you are encouraged to bring other food for the kosher potluck, such as non-dairy appetizers. Also, bring some warm clothes or a blanket and your guitar if you play! Please RSVP to jonedrucker@gmail.com as soon as possible so there are enough hot dogs for all. This night is for everybody so invite your family and friends! 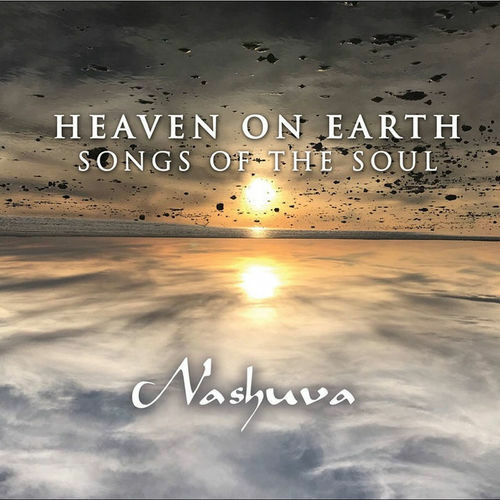 For more information visit www.nashuva.com. Dockweiler State Beach between lifeguard stations 52 and 53, Playa del Rey. The Lag B’Omer Jewish Unity Concert is on Thursday, May 7 starting at 10:30 a.m. with performances by The 8th Day and The Twins from France. General admission tickets are $16. For school group reservations, call (310) 208-7511. Wilshire Ebell Theatre, 4401 W Eighth Street, Los Angeles. The Chabad of Pasadena is having a Lag B’Omer BBQ on Thursday, May 7 at 5 p.m. There will be a moonbounce, a bonfire, music and BBQ of course! This will be fun for the whole family. It is $10/person or $40/family. For more information, visit www.chabadpasadena.com or call (626) 564-8820. 1090 East Walnut Street, Pasadena. Chabad Israel Center is hosting a bonfire at Dockweiler Beach on Wednesday, May 6 at 6 p.m. until the beach closes at 10 p.m. There will be a BBQ with steaks, burgers and much more! For more information visit www.chabadla.org or call (310) 271-6193. Dockweiler State Beach, 12000 Vista del Mar, Playa del Rey. Join the Chabad of Studio City on Wednesday, May 6 at 4:30 for an evening of BBQ and relay races with Rachel Victor! There will be several different competitive games including a mummy wrap and potato sack race. For more information visit www.chabadsc.com or call (818) 508-6633. Celebrate Lag B’Omer at Robertson Art Space on Thursday, May 7 from 6-9 p.m. There will be a fire pit to enjoy and vegetarian food for purchase. In the main space there will be a showcase of local songwriters featuring Josh Warshawsky, Brock Pollock and Kira Rappaport & Jennifer Paskow. There will also be artwork by Hillel Smith, Jared Ross and Ilan Laks. $10 per person. $5 for kids under 10 and kids 2 and under are free admission. For more information visit www.robertsonartspace.com or call (424) 245-4011. 1020 S Robertson Blvd., Los Angeles. Join the Jewish Community Center on Thursday, May 7 at 5 p.m. for an evening of fun, food, music and entertainment in Hermosa Beach. This event will feature a Bonfire and Drum Circle! For more information call (310) 214-4999. 2521 Valley Drive, Hermosa Beach. Kol Tikvah invites all families to join for a Shabbat service with live music and a Lag B’Omer celebration on Friday, May 8 at 6:30 p.m. There will be socializing, coffee and sweet treats following the service. For more information visit www.koltikvah.org or call (818) 348-0670. 20400 Ventura Blvd., Woodland Hills. Join the Kabbalah Centre Los Angeles on Wednesday May 6 for a full night of celebrating Lag B’Omer. This is an adult friendly experience where many students gather at Kabbalah Centres around the world, making it a meaningful and global experience. Doors will open at 10:30 p.m. and the event will conclude at 4 a.m. Tickets are $25, teens ages 12-17 are free. For more information visit www.losangeles.kabbalah.com or call (310) 657-5404. 1062 S Robertson Blvd., Los Angeles. Ask your Jewish friends’ parents to adopt you for a couple of weeks. Call your local synagogue and have them match you with a family. Check out Sinai Temple’s “Break the Fast” on Yom Kippur, Oct. 4, 8-10:30 p.m. It’s $10 for guests, free for members. Registration at atidla.com. Bill’s Bees is located in the foothills of the San Gabriel Mountains. You can find their delicious honey made from bees fed native wildflowers at farmers markets throughout the region, including Glendale, South Pasadena, Burbank and Santa Monica. Bennett’s Honey Farm is located in Ventura County, “home of the best sage and wildflower fields in California,” they claim. They are certified kosher and organic. Honey Pacifica has been in the raw honey business since 1978. Pick up a jar at your local Whole Foods or at farmers markets in Beverly Hills, Hollywood, Santa Monica and other locations. Jewels of Elul: Craig Taubman’s gathering of short stories and anecdotes to help us reflect and prepare for the High Holy Days. Write for Your Life: A useful and accessible guide to writing about your spiritual practice. My Jewish Learning: A clearinghouse of handy information about Jewish holidays, culture, beliefs, etc. Think of it as an interactive “Jewish Book of Why” —with more pictures. Ask Moses: Get your pressing moral and spiritual questions from an Orthodox perspective answered from an Orthodox perspective by a rabbi with Chabad of California. 10Q: 10 days, 10 questions. Answer each one and next Rosh Hashanah you’ll have your answers sent back to you, so you can reflect on how much you have (or haven’t) changed. 1. “This Is Real and You Are Completely Unprepared: The Days of Awe as a Journey of Transformation,” by Alan Lew. A guide to self-discovery and contemplation, drawn from lessons in Judaism and Buddhism. 2. “The Book of Life,” by Stuart Nadler. In the daring first story, an arrogant businessman begins a forbidden affair during the High Holy Days. 3. “Everyday Holiness: The Jewish Spiritual Path of Mussar,” by Alan Morinis. A highly practical set of teachings for cultivating personal growth and spiritual fulfillment in everyday life. 4. “A Climbing Journey Towards Yom Kippur: The Thirteen Attributes of the Divine,” by R. Margaret Frisch Klein. A guided journal for climbing the spiritual mountain, with questions to help guide your thinking and writing. 5. “Days of Awe: A Treasury of Jewish Wisdom for Reflection, Repentance, and Renewal on the High Holy Days,” edited by S.Y. Agnon. Compiled by one of the greatest Hebrew writers of the 20th century, this is a one-volume compendium of meditations — from the Bible, the Talmud, midrash and the Zohar — to deepen the spiritual experience of the holiest days of the Jewish year. 1. It’s long for a reason — the liturgy tries to give as many opportunities for connection as possible. Over the course of the High Holy Days, there are special extra prayers, special extra Torah readings, and even a whole extra book of the Tanakh — Jonah — is read. The length and diversity of the liturgy is an expression of the tension between the need for communal strength and individual reality. Each of us stands before God (however you define God) with our own set of deeds and misdeeds. Each of us needs a different kind of encouragement or support to embrace our broken, imperfect selves and make a plan to try to be better. Our prayer services offer a community of people reflecting on the year, medieval piyutim (liturgical poems) on the core nature of death, uplifting music about the possibility of being better, stories of our patriarchs and matriarchs doing the best they can, and many other entry points into the themes of the High Holy Days. Each year, I try to find one access point, one theme, one idea, one song to connect to and carry with me into the coming year. 2. Most of the High Holy Days liturgy is written by poets trying to understand the themes of the holidays. The early rabbis laid out an outline of what themes the prayer leader should touch on. There were no siddurs for the community. There were traveling professionals who had beautiful singing voices and were masters of the Hebrew language. They would take the themes of that outline and elaborate. The siddur represents a collection, made over the course of 2,000 years, of the best work of those prayer leaders. Do you have a favorite poem? Is there a scene from a movie or TV show that moves you? Add your own to create your personal siddur. 3. The sound of the shofar counts as its own prayer. Maimonides writes that an entire prayer is in his mind each time he hears the shofar. The powerful sounds of the shofar are meant to stir our souls. The content of that private prayer is going to be different for each person, yet the strength of the prayer is amplified — for all are sharing that moment together. The contrast between the short and long blasts gives us a chance to be individuals together in community. 4. Kol Nidre was extraordinarily controversial. The early rabbis tried for centuries to abolish or at least to adjust the Kol Nidre service. In many ways, it seems to undermine the halachic (Jewish legal) system. Kol Nidre as a service either annuls all of the vows (promises that invoke God’s name) from the previous year or the coming year. It is possible to annul vows in Jewish law, but you need a rabbinic court. During the Kol Nidre service, we make a pretend court out of three Torahs held by three individuals. There is no halachic standing for such a thing. In addition, it seems to completely alleviate the responsibility of making promises. However, every synagogue in the world has a Kol Nidre service. The people overruled the rabbis. People love the moment of Kol Nidre — not because of its legal standing, but because it transitions us into Yom Kippur. What better way to start a day of forgiveness than by facing the fact that we don’t live up to the promises we make to ourselves and others? More than that, we forgive ourselves for those failings. That forgiveness becomes the foundation of an entire day of admitting all of our shortcomings. 5. Rosh Hashanah is the more somber of the two holidays. It is the day God is our jury and we are found guilty. Yom Kippur is the “happy fast” — God serves as our sentencing judge, and our sentence is commuted. We have another year to try again. 1. The top of Point Dume in Malibu: You won’t see whales this time of year, but you’ll see Catalina Island, the far horizon and not a lot of people. 2. Sturtevant Falls in Sierra Madre: A four-mile round-trip hike with well-maintained trails; a perfect place to escape the city. 3. The Cobb Estate in Altadena: It’s home to the Sam Merrill Trail and is referred to as the Haunted Forest, with widespread reports of spooky sightings. Also, it was owned by the Marx Brothers in the 1950s. 4. Eaton Canyon in Pasadena: Don’t go chasing waterfalls — the trail to the upper falls was closed off in August after too many hikers fell to their deaths. But you can still hike to the lower falls for a breathtaking view. 5. Griffith Park in Los Angeles: A well-trod urban oasis, but still a great place to bring visitors and get a nice view of the Hollywood sign. 6. El Matador State Beach in Malibu: Even on weekends you can find this beach, near the Ventura County line, relatively quiet. On weekdays, it’s positively peaceful. Sit down, stare at the surf, and reflect. 7. Temescal Canyon Park in Pacific Palisades: Go on a sunset hike and watch a big ball of fire drop into the ocean. Stunning views of the coastline await. 1. Check out Instructables.com for a guide to building a free-standing DIY sukkah out of PVC pipes. SimplifiedBuilding.com shows you how to make a more heavy-duty one out of steel pipes. 2. Sukkot.com offers wood-frame or steel-tube sukkah kits, along with wall materials, bamboo roofing, decorations, and even a lulav and etrog. SukkahDepot.com and SiegerSukkah.com also offer easy-to-assemble sukkahs, but be prepared to shell out a few hundred dollars. 3. Go to a Home Depot or Loews with a budget in mind and the dimensions of your back porch or yard, and channel your inner Tim Allen. 4. Team up with some fellow Jews and build a communal sukkah. There’s no better way to break the Yom Kippur fast than with a nosh among friends under the stars. – Vintage Israeli dancing at Anisa’s School of Dance in Sherman Oaks, Sept. 27, 8:15 p.m.-12:15 a.m.
– Pre-High Holy Days Yoga Unwind & Detox at Sinai Temple, Sept. 21, 11 a.m.-noon. – Rosh Hashanah Party, Sept. 27, 10 p.m., at Whiskey Blu, 1714 N Las Palmas, Los Angeles. Including DJ Shay Silver, DJ Amit, DJ Yochai, DJ Final Cut and DJ Primitive. israeliparties.com. – Rosh Hashanah Party, Sept. 18, 7:30 p.m., at The Victorian, 2640 Main St., Santa Monica. There’ll be mingling, music, dancing, appetizers and a festive party spirit. – Apple Meets Honey Young Professionals Lounge at Sinai Temple, a place for folks in their 20s and 30s to stop by during or after services at Sinai for light bites (Rosh Hashanah only) and mingling. The lounge will be open on Rosh Hashanah Day 1 (Sept. 25), 10:30 a.m.-1 p.m., and on Yom Kippur (Oct. 4), 10:30 a.m.-1 p.m.
– Rosh Hashanah Apple Extravaganza Party, Sept. 18, 8 p.m., at Moishe House LA,110 N. Harper Ave., Los Angeles. There’ll be delicious apple cider, apple pie, caramel apple dipping, and a discussion on what Rosh Hashanah means to young Jews. Diamond Bakery: 335 N. Fairfax Ave.
Bagel Factory: 3004 S. Sepulveda Blvd. and 8986 Cadillac Ave.
Eilat Bakery: 350 N. Fairfax Ave.
Schwartz Bakery: 433 N. Fairfax Ave.
Delice Bakery: 8583 W. Pico Blvd. 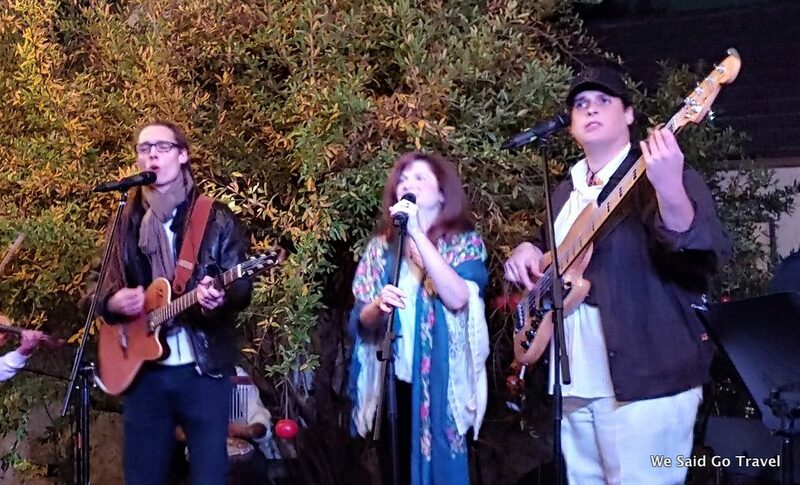 – Creative Arts Temple, at Mother’s Beach in Marina del Rey, Sept. 26, 10 a.m.
– Nashuva, at Venice Beach, Sept. 25, 5:15 p.m.
– “Down to the River,” East Side Jews, at Marsh Park on the Los Angeles River, Sept. 27, 6:30-9:30 p.m., $40, includes food, drink and transformation. – Valley Outreach Synagogue, at Zuma Beach, Lifeguard Station 6, Sept. 25, 4 p.m.
– IKAR, at Santa Monica Beach, Lifeguard Station 26. Sept. 28, 4:30-7:30 p.m.
– Wilshire Boulevard Temple, Tashlich at the Beach, Will Rogers Beach, Sept. 28, 4-6 p.m.
– Meet your bashert (soul mate). – Make your bubbe and zayde proud. – Practice your Hebrew reading skills. – There’s usually free wine involved. Where can I learn to blow a shofar? Michael Chusid, a San Fernando Valley resident and synagogue Makom Ohr Shalom’s ba’al tekiah (shofar master blaster), offers workshops and classes and blogs about the art of blowing shofar at hearingshofar.blogspot.com. Self-described “jazz comedian” David Zasloff also offers private lessons. Zasloff has staged shofar shows such as “Shofar-palooza,” and on Oct. 18 at the Beyond Baroque Literary Arts Center, he will perform on the shofar all the Christian songs written by Jews. 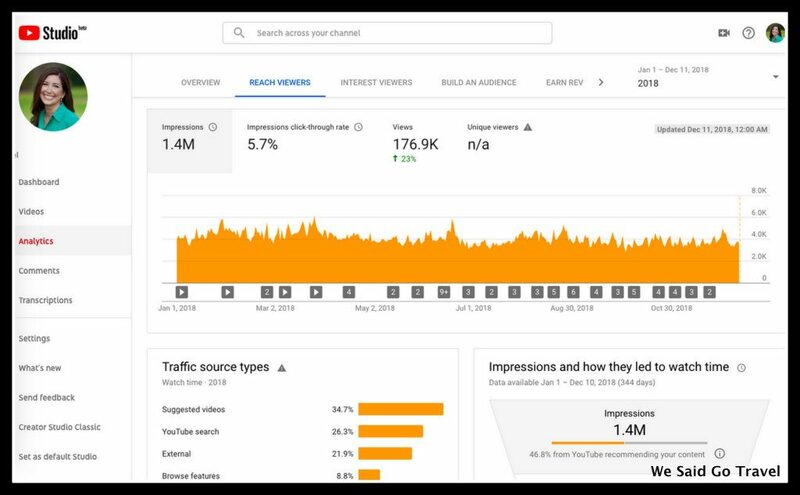 davidzasloff.com. “Haunted Screens: German Cinema in the 1920s,” at Los Angeles County Museum of Art. See the work of Jewish filmmakers such as Fritz Lang, who later immigrated to the United States and gave birth to film noir. “Minor White: Manifestations of the Spirit,” at the Getty Center. This highly influential American photographer showed how the visual language can be a tool for spiritual transformation. “Mandala of Compassion,” at the Hammer Museum. Learn the virtue of patience from four Tibetan Buddhist monks as they handcraft a colorful sand mandala before your very eyes. And then, at the end, they’ll sweep it up, for a lesson in impermanence. – On the floor of your pantry, because, dear God, your blood sugar is low. – Souplantation & Sweet Tomatoes, because it’s all-you-can-eat. – Swingers Diner, in Hollywood and Santa Monica, because it’s open late, and you can wash down your lox and bagel with a milkshake. – Art’s Deli in Studio City has a special High Holy Days menu. – Brent’s Deli in Northridge and Westlake Village. Greek Jews: pepitada, made with crushed melon seeds, water, sugar and rosewater. Iraqi Jews: hariri, sweetened almond milk with cardamom. Tunisian Jews: black tea with fresh lemon verbena leaves and sugar. High Holiday map screenshot. Courtesy of NEXT. On Aug. 5, the Birthright Israel alumni organization NEXT launched its 2013 High Holy Days initiative. It features an interactive, nationwide map of services and events — including learning opportunities, dinners and break-the-fasts — as well as a first-time offering of resources and small subsidies for people willing to host Rosh Hashanah meals and Yom Kippur break-the-fasts. “Taglit-Birthright participants have returned from their summer trips — joining the hundreds of thousands of alumni from past years — with a personal connection to Judaism, Israel and the Jewish people. Now is the time to build on that connection and help make Jewish opportunities and communities more accessible,” Morlie Levin, CEO of NEXT, said in a statement. Based around the idea that there are ways to keep participants of Taglit-Birthright’s free 10-day trips to Israel interested in Judaism and the Jewish state after they return home, NEXT helps connect alumni through events, subsidized Shabbat meals and other programs. The organization has an alumni community of more than 300,000 individuals, according to its Web site. While the High Holy Days map is in its third year, it has some new features this time. For example, it now allows users to filter events based on their preferences, whether they are seeking services that are egalitarian; LGBT-friendly; interfaith-friendly; English-heavy; or Reform, Orthodox or Conservative. As of press time, several Los Angeles-area congregations — including Nashuva, Stephen S. Wise Temple, IKAR and Congregation Shir Chadash in Lakewood, Calif. — have listed their services on the map. More are expected to join during the two weeks leading up to the holidays. The NEXT map was produced by San Francisco- and New York-based 10x Management, a talent agency that represents freelance programmers and other technology professionals. The map relies on GPS technology and enables users to tweet and share on Facebook which events they plan to attend. As with the online map, NEXT also designed the meal subsidy program, the other part of the 2013 initiative, to encourage alumni and young professionals to participate in and engage with the most important holidays of the year. Hosts will be reimbursed up to $10 per guest for up to 16 guests, and NEXT has made resource materials available on its Web site to help enrich the experience. These include recipes, dinner ideas, holiday videos and much more. The program was inspired by the longstanding NEXT Shabbat program, which covers the cost of Shabbat meals — a host simply provides receipts and photos as proof that they hosted one. “We understand one of the most effective ways toward a deeper understanding of Jewish learning is to have the opportunity to [sit around a dinner table] with a large circle of friends,” Levin said. For more information on the High Holy Days initiative, including the interactive map and the subsidy program, visit birthrightisraelnext.org/highholidays. LGBT-friendly congregation Beth Chayim Chadashim hosts its inaugural Lag B’Omer celebration with singing around the fire pit at its new campus. Sat. 7-9 p.m. Free. Beth Chayim Chadashim, 6090 W. Pico Blvd., Los Angeles. (323) 931-7023. bcc-la.org. Moishe House celebrates the holiday with a massive bonfire at Huntington City Beach. Fun, s’mores and singing included. Bring your guitars, drums ukuleles and whatever else. Sat. 7 p.m. Free. Huntington City Beach, 101 Pacific Cast Highway, Huntington Beach. (510) 452-3800. moishehouse.org. Valley Ruach’s young professionals host a Lag B’Omer BBQ Bonanza, including Havdalah, games and a kosher barbecue with beer, hot dogs, hamburgers and veggie options. Sat. 7 p.m. Free ($5 suggested donation). Community member’s home in the Valley (RSVP for location). (818) 835-2139. valleyruach.org. Adat Ari El hosts a dinner, activities and a fire-and-drums dance performance. Sun. 4-8 p.m. $18 (adults), $10 (children). North Weddington Park, 10844 Acama Drive, Studio City. (818) 766-9426. adatariel.org. Bend the Arc and the Jeremiah Alumni Association team up with the Shulamit Gallery to host an evening exploring the Jewish tradition for counting the omer. In sprit of the holiday, join them for art and learning around a rooftop terrace fire pit. Sun. 5-7:30 p.m. Free (RSVP requested at rsvp@shulamitgallery.com). Shulamit Gallery, 17 N. Venice Blvd., Venice. (310) 281-0961. shulamitgallery.com. Progressive congregation Nashuva holds a mystical night of celebration and bonfires by the sea, complete with a drum circle. Attendees start with drumming and a picnic, followed by a bonfire and a hot dogs and marshmallow roast. All ages welcome. Sun. 7 p.m. Free. Dockweiler State Beach, between lifeguard stations 52 and 53, Playa Del Rey. nashuva.com. The Lag B’omer Day of Jewish Unity concert, parade and fair features special guest star Dudu Fisher, the Cheder Menachem Boys Choir, marching bands, clowns and jugglers, colorful floats, rides, game booths, a petting zoo, kosher food stands, a Hollywood stuntman and circus performer and more. Sun. 10:30 a.m. (concert), 11:30 a.m. (parade), 12:45-6 p.m. (fair). Pico Boulevard (Between Doheny and Wetherly). (424) 242-2239. lagbomerla.blogspot.com. Brown first connected with Santiago through the organization Kidsave and its Summer Miracles program. Kidsave founders Terry Baugh, in Washington, D.C., and Randi Thompson, working in Los Angeles, were inspired to start the nonprofit after making visits to foreign orphanages where they witnessed children who were often left alone for hours without personal attention or mental stimulation. Kidsave, which has offices in Bogota, Colombia, and Moscow, is designed to find families for these children, as well as mentors and other sources of support. Kidsave’s Summer Miracles program brings Colombian children from group homes and foster homes to the United States for four weeks during the summer. The children stay with “host-advocates” who care for the children while they are here, and who take it upon themselves to help find permanent homes for the kids. Summer Miracles focuses on older children, usually between the ages of 8 and 11, who are often overlooked in the adoption process. Selected children must be legally and emotionally ready for adoption and typically are not more than two years behind academically in their home countries. “I think there is a niche for these children,” says Sari Weiner, who adopted a child through Kidsave’s domestic hosting program, Weekend Miracles. As an older parent, Weiner did not want to adopt an infant, believing she would be too elderly by the time her child was grown. Other families may not have the energy for younger children or may want an older sibling for their other children. Once chosen for the program, the children are brought from foster homes and group homes all over Colombia to the country’s capital, Bogota, for two weeks of training, psychological counseling and workshops. They are taught guest etiquette, some English and a bit about U.S. culture. Estefany, left, and Johana participate in the three-legged race with Kidsave’s Bob Holman. It costs a total of about $7,500 to bring a child to the United States through Summer Miracles, according to Thompson. Of that amount, host-advocates contribute a hosting fee of $1,250 and an application fee of $275. Host-advocates generally raise money through grass-roots organizing, while Kidsave itself receives grants and large donations. Once the children are here, the host-advocates’ job is to spread the word about Kidsave and attend weekly events to introduce their visiting children to families. Susan Baskin, who is currently two weeks away from adopting the child she hosted last summer, mentioned Kidsave in her profile in The Jewish Journal’s “My Single Peeps” column. Brown, Santiago’s mother, has used Facebook, word of mouth and even a blurb on the Nashuva Web site to spread information about Kidsave. Brown says she brings up the organization in conversation whenever possible. Once, a teller at the bank who saw Santiago ended up mentioning Kidsave to a friend, and that friend is now in the process of adopting a child of her own. However, their success rate is noteworthy. Eighty percent of children from Summer Miracles are now adopted or in the process of being adopted, according to Reicher-Gordon. She attributes the high rate to the time families spend getting to know the kids. Baskin agrees. Before hearing about Kidsave, she had attempted adoption on her own but was turned off by the lack of information about and time with the prospective children. “As a single woman, I felt I might not have the financial and emotional resources if the match was not good,” Baskin said. Kidsave motivated her to try adoption again because it gave her time to get to know her prospective child and a realistic idea of what it would be like to be a parent. Baskin hosted Johana in the summer of 2011 and will be leaving to pick up her new daughter in Colombia in two weeks. The risk of any hosting program, of course, is that children’s hopes will be crushed if the adoption does not work out. Marcia Jindal, director of the intercountry adoption program at Vista Del Mar, has worked with Kidsave for seven years, doing home assessments before the children arrive, training the families, providing support and resources while the children are here, and conducting post-placement studies on children who have been adopted. Jindal says there are pros and cons to every program. In her experience, she said, “The biggest negative that families find in these hosting programs is they feel it’s unfair to get the child’s hopes up. But there’s no way to prevent that, unfortunately.” Even if the families have the intention of adopting, the home countries of the children could at any time revoke permission to adopt. Additionally, a sudden family illness or financial problem could prevent the adoption from going through. Valentina enthusiastically tosses a bean bag. At the most recent Summer Miracles event, it appeared the hosting families cared deeply about their Kidsave children. Baskin still remembers the expression on Johana’s face when she walked in the sand and splashed in the ocean for the first time a year ago. Brown is hosting two more boys this summer, a second boy named Santiago — this one is 11 — and Julian, 12. The visiting Santiago recently learned to ride a bike for the first time. BY Rob Eshman | PUBLISHED Feb 15, 2012 | Is Featured? In synagogue last Friday night, just after her sermon, the rabbi announced she had invited a special guest in honor of Jewish Disabilities Month. “That’s for Jews who get B’s in school,” I said. But in a culture that prides itself on education and achievement, there is a tendency to overlook those children, men and women who may never fit into the straight-A, Ivy League, graduate school and away-we-go model. Our norm is pretty exceptional. One of the most moving stories I’ve reported for The Journal was on Dr. Michael Held, who in 1993 founded an organization called Etta Israel to make sure every Jewish child, regardless of his or her abilities, received a Jewish education. Held told me stories of families who kept their Down syndrome children locked in the house rather than allow the community to see them. Things have changed for the better since then. Etta Israel now offers group homes, camp and Israel experiences, and Michelle Wolf, who created the first blog on the subject, Jews and Special Needs, at jewishjournal.com, charts the heartening growth of programs and opportunities seeking to include and assist people with disabilities. It was Rabbi Levy who introduced the special guest at her Nashuva congregation services last Friday. The rabbi and I also happen to be married — I just call her Naomi — and our daughter, Noa, who turned 16 last weekend, has demonstrated each day the persistence and grace required to navigate the world when you aren’t, in the words of her bat mitzvah speech, “all put together.” But much of Noa’s success is due to the circle of educators, doctors, specialists, lawyers and friends who have devoted themselves to children with special needs, and to her. The guest Naomi introduced was a 20-year-old Jewish rapper named Rio Wyles. Wyles, clad in rapper chic — baggy pants, T-shirt, dark shades — stood silently on the bimah as Naomi recited his story. At age 3, Wyles was diagnosed with autism. Specialists told his mother that his thinking would never rise above the abstract. But a succession of devoted specialists — Dr. Bill Takeshita, now affiliated with the Center for the Partially Sighted; cognitive therapist Shmuel Stoch, at the Yavneh Hebrew Academy; education therapist Carol Essey and others — helped him along. Wyles is now a proud graduate of the Academy of Music magnet program at Hamilton High School in Los Angeles, class of 2010. At the age of 8, while browsing through the bins at Tower Records, Wyles told his mother, Judith Feldman, he intended to work in the music business. Doctors had warned her to keep her expectations in check. “Do you want to work here?” Feldman asked her son, knowing even a record store might be a stretch. Rio Wyles transformed himself into the rapper Soulshocka. He sought music mentors — Sam Kingston, Dave Stewart of Eurythmics fame and producer Joe Seabe at PASW Music Management. As important as the professionals and friends who helped him were institutions like Vista Del Mar and its Miracle Project — whose founder and president, Elaine Hall, brought him to Nashuva — as well as Hamilton High and Day Jams, a summer rock music camp held at American Jewish University. Wyles was the first Day Jams camper with autism to be admitted — something his mother said transformed his life. Doors didn’t just open for Wyles — people chose to let him in. Soulshocka performs along with the Miracle Project Fly Ensemble at autism-related charitable events, synagogues and elsewhere. He has a label, and a producer, Seabe. Soulshocka received the 2011 Autism Genius Award at Carnegie Hall, and a standing ovation last Friday night at Nashuva. The two songs he performed were “We Will Prevail” and “Malfunction,” with music by Seabe and the lyrics by Wyles himself. Won’t be easy but you gotta stay strong. Somehow I know we will prevail. We will not fail. We will prevail. If you miss the art of Andy Warhol or Roy Lichtenstein, then Burton Morris’ exhibition “Fashion Frenzy” should surprise and delight. The artist aspires to continue the Pop Art tradition of the ’60s and ’70s by presenting everyday objects and ideas in bold ways. His artwork has been featured on the set of “Friends,” the 76th Annual Academy Awards and the 2004 Summer Olympic Games. Morris says his work projects a sense of optimism. It’s no wonder ” alt=”ALTTEXT” width=”300″ height=”401″ vspace = 14 hspace = 8 align = right /> ” target=”_blank”>http://www.burtonmorris.com. Don’t assume Los Angeles’ Irish Film Festival doesn’t have anything in store for the Jewish-minded. This year’s big feature is “Grandpa … Speak to Me in Russian,” a docudrama about director Louis Lentin’s family history and the vanished world of the shtetl. Lentin uses fascinating archival material and drawings to trace his relatives’ journey. The movie will be featured with “Shalom Ireland,” a look at the country’s vibrant Jewish community. Sat. 8:30 p.m. $11. Clarity Theatre, 100 N. Crescent Drive, Beverly Hills. (310) 933-1439. ” target=”_blank”>http://www.booksoup.com. Outspoken feminist advocate, political provocateur and public intellectual Naomi Wolf has a few words to share on democracy. The San Francisco native, Yale graduate and Rhodes Scholar wrote one of the most important works of third-wave ” target=”_blank”>http://www.aloudla.org. Discussions involving the intersection of faith and politics abound at Loyola Marymount University’s campus this fall. Join Rabbi Jeremy Milgrom, co-founder of Clergy for Peace, an interfaith initiative working for peace in the Middle East, as he presents “The Peace Movement in Israel: An Update.” Milgrom has had firsthand experience in Israel’s army — both on active duty and as a conscientious objector. The lecture is part of the university’s Jewish studies program. Mon. Noon-1:15 p.m. Free. Loyola Marymount University, 1 LMU Drive, Los Angeles. Ahmanson Auditorium, UHall 1000. (310) 338-2700. ” target=”_blank”>http://www.jazzbakery.com. Carol Es daringly explores her Jewish identity on canvas. Most vivid with language, Es often embroiders giant Hebrew letters onto her works as a way of binding her Judaism to her identity as an artist. In this exhibit, “She Dreamed She Remembered,” the native Angeleno and self-taught painter focuses on memory, her childhood dreams and recollections as a way of reconciling her painful past to her present reality. Tue. 11 a.m.-6 p.m. (Tue.-Sat.). Opening reception, Oct. 11, 5- 8 p.m. Free. On display through Nov. 15. George Billis Gallery, 2716 S. La Cienega Blvd., Culver City. (310) 838-3685. ” target=”_blank”>http://www.debatewatch2008.blogspot.com. Join students as they commemorate the life of Daniel Pearl, the South Asia bureau chief for the Wall Street Journal who was tragically kidnapped and murdered by terrorists in Pakistan. Students from New Horizon School, St. Mark’s School and Weizmann Day School will perform at the seventh annual “World Music Days — Daniel Pearl Concert,” dedicated to promoting international friendship and understanding. Tue. 11 a.m. Free. Galpert Sanctuary, 1434 N. Altadena Dr., Pasadena. (626) 797-0204. ” target=”_blank”>http://arts.pepperdine.edu. Mike Leigh, the acclaimed British director of the melancholic “Vera Drake,” shifts gears with the whimsical comedy “Happy-Go-Lucky.” Sally Hawkins stars as schoolteacher Poppy, an eternal (maybe insufferable) optimist who faces misanthropic, cynical and depressed people — a driving instructor, her pregnant sister and the class bully — with a smile. Fri. Laemmle’s Sunset 5, 8000 Sunset Blvd., West Hollywood. (323) 848-3500. info@creativeartstemple.org. Temple Ahavat Shalom will hold its Tashlich ceremony at Lake Balboa/Anthony C. Beilenson Park. Participants are encouraged to bring a picnic lunch, blanket and chairs to enjoy the afternoon. Sat. 11 a.m. Free. 6300 Balboa Boulevard, Van Nuys. (818) 360-2258. ” target=”_blank”>http://www.ikar-la.org. 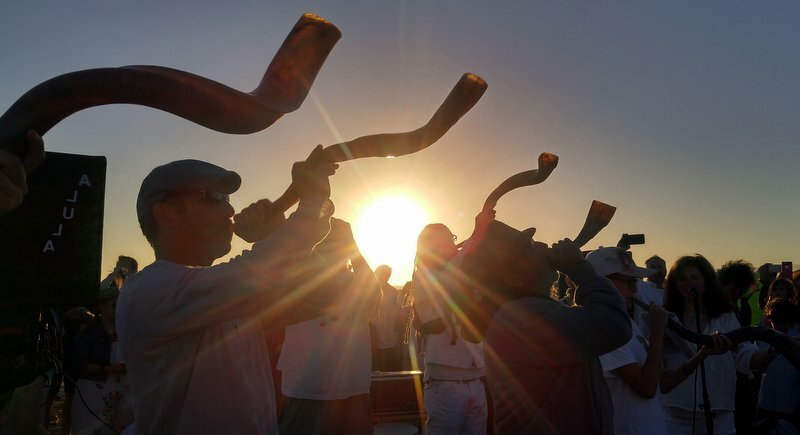 Celebrate Yom Kippur seaside by joining Beach Hillel for services held at the Seaport Marina Hotel, where participants can choose to stay overnight. Wed., 6 p.m.; Thu., 9:30 a.m. Free services. The Seaport Marina Hotel, 6400 E. Pacific Coast Highway, Long Beach. (562) 426-7601, ext. 1424. ” target=”_blank”>http://www.jewishtvnetwork.com or in person at Brentwood Presbyterian Church, 12000 San Vicente Blvd., Los Angeles. In the fall of 1989, I took a class on Chasidic thought with a Chabad rabbi. We met in a room in the annex of Congregation Mishkon Tephilo in Venice. Iwanted to learn about Judaism, but I hated going to synagogue services. They bored me. So I took classes, learned Hebrew, even lived in Israel. But no synagogue services. One afternoon, our teacher suggested we all march down and meet Mishkon’s new woman rabbi, Naomi Levy. The class consisted of six young single men — we said sure. And the moment I saw Naomi, I knew I wanted to marry her. From there on out, a group of us gravitated to a back row of the synagogue and devoted every Shabbat to hoping she would fall for one of us. We were in our 20s, unmarried and smitten. Fortunately, I had an enormous advantage over the other young men: I didn’t have a job. They were all busy young professionals. I was just young. Naomi taught a class called, “Love and Torah,” every Wednesday at noon. There was my opening. My calendar happened to be clear every Wednesday at noon — actually, it was clear pretty much every day at noon. So I showed up each week to learn with five young mothers and the rabbi. The moms figured out my plan immediately. Naomi just assumed I was really into Torah. She was teaching the “Song of Songs,” a biblical love poem. On the day our class studied the line, ” … and his fruit was sweet to my taste …,” I brought a quart of huge, ripe strawberries from the Santa Monica farmer’s market for everyone to share. Another time, as we read, ” … I will get me to the mountain of myrrh, and to the hill of frankincense,” I pulled out a baggie of frankincense and a baggie of myrrh, which I had bought the day before after driving 45 minutes to a bodega in Burbank. If you want to snag a rabbi, it helps to read ahead. The next Shabbat, Naomi let me walk her to her apartment door after services. The fact is, not joining a congregation came naturally to me. I was intrigued by Judaism, and I was growing to love Mishkon’s members — many are friends to this day — but I was not interested in spending Friday nights and Saturday mornings in shul. I had grown up attending a large, suburban synagogue, had a bar mitzvah and never went to services more than twice each year. And each time I did, the rote prayer readings, the cantorial repetition, the organ music — all of it — sent me into a spirit-sucking stupor. Eventually, Naomi caught on to my intentions. It may have been when I offered to cater the synagogue’s second-night seder, or that I offered to head up the Chanukah latke-making effort for 200, or the afternoon I left a mix-tape on her doorstep for her post-Shabbat listening. Or it may have been my sudden 100 percent shul attendance record. “I don’t even go to shul that much,” Naomi told me. Of course, after we got married in 1991, neither did I. Because I was a sailor in the relatively uncharted waters of being a male spouse of a rabbi, Mishkon’s congregation had no expectations of me and no obvious role. The congregants didn’t seem to mind that I was rarely in shul — or at least didn’t mind out loud. When Naomi decided to leave Mishkon after we had our second child, I was more relieved than she was. A rabbi’s spouse sees firsthand the pressures of the job: the strains of synagogue politics, the lack of control over one’s time, the constant sense you can never fulfill the demands both of your congregants — no matter how many — and of your own family. Frankly, I also was looking forward to being free of the guilt of not showing up at services. In leaving Mishkon, Naomi got to be home more with our children, write books (“To Begin Again,” “Talking to God”), teach and lecture. But as the years passed, she yearned to return to the pulpit. It was — is — her calling. But as much as she loves the pulpit, Naomi, like me, finds the modern synagogue problematic. She believes that Judaism offers people a sense of purpose, a mission to heal society and a fulfilling spiritual path, but that too often standard synagogue services don’t attract or inspire Jews, much less compel them to commit to a community. Of course, one of those outsiders was living with her. I liked everything about being Jewish but going to shul. I had seen her infuse the traditional services at Mishkon with her particular spirit and warmth, and I hoped there was a way she could build on that somehow, somewhere. But how or where I hadn’t a clue. I couldn’t see either of us at a mainstream synagogue: Her goal was to reach the Jews who, for whatever reason, were turned off to Judaism, and they were unlikely to be found inside established synagogues. One day, Naomi simply decided to do it— to create for herself her dream of the ideal service and the ideal congregation. She had no financial backing, no business plan, no building, no place to hold services. She had a supportive but somewhat skeptical rebbetzin. Naomi decided to call her congregation “Nashuva,” Hebrew for “we will return.” She launched it one night with a few friends and a husband seated around our dining room table. As we all shared our vision and offered our help, I felt my role shift from rabbi’s spouse-in-the-background to fellow organizer, planner, volunteer. I, who had happily stayed on the sidelines of synagogue life, was now joining with a handful of others to actually create a different kind of congregation. As Naomi envisioned it, Nashuva would be an outreach congregation, bringing Judaism to those who had otherwise been turned off to it or uninspired by it. Nashuva would hold Shabbat evening services on the first Friday of every month and do a social service project in the L.A. area on the third Sunday of the month. It was service that led to service; outreach that led to reaching out. There would be no membership, no dues, and everyone — everyone — would be welcome. The service itself would be traditional and in Hebrew, but with accessible translations written by Naomi and set to great, engaging music. Naomi put together a band, and I watched with the screwed up face of a stodgy sitcom dad as several strikingly handsome, talented musicians appeared in our living room for rehearsals. Naomi and the band fashioned new arrangements, adapting ancient Hebrew prayers to melodies as diverse as music from “Godspell” and the Jewish Abuyudaya tribe of Uganda. She cold-called a church she had driven by countless times, the Westwood Hills Congregational Church on Westwood Boulevard. A young woman answered the phone. Naomi asked to speak to the reverend. “You’re speaking with her,” said the Rev. Kirsten Linford. When the two met, they fell into each other’s arms like long-lost friends. On Nashuva’s debut night, we hung Wanda Peretz’s beautiful handmade tapestry depicting a dove returning to a Tree of Life. It hid the church’s giant cross. I set out food for after the service (some roles never change), and we filled the pews with the prayer books Naomi had created. “Just put out 50,” she said. People began to arrive. The congregation swelled. I stood in the balcony and watched the hundreds of church seats fill up. Eventually, Nashuva outgrew its first home and moved to its current location, the Brentwood Hills Presbyterian Church. It has succeeded beyond our imaginations without falling back on traditional models of organization, like dues and membership and tickets. Nashuva now even has an alternative to Hebrew school — Camp Nashuva — that engages young children in the joy of Jewish learning. What it lacks in the hallmarks of mainstream synagogues — well-developed lay leadership, regular cash flow, a home of its own — it has made up for with committed volunteers, some generous donors and grants. As the nontraditional rebbetzin at a nontraditional shul, I happily set out defining my own role: doing whatever I could to sustain what I truly believe is something magical and exceptional in Jewish life — and actually looking forward to going to services. I have, at last, returned. This past June, Nashuva celebrated its fourth anniversary. Somehow, Nashuva has survived as an un-synagogue. At the High Holy Days, Nashuva is standing room only. But even more remarkable, on the first Friday of each month, I sit in the balcony and watch, not quite believing, as each time it fills up on just an average Shabbat — with many new faces and many familiar ones. People who had never found a spiritual home. People whose own synagogue services leave them cold. People who never felt welcome in Jewish life. Kids dance in the aisles, the congregation leaps to its feet, Naomi sings and leads prayer and speaks — her ideal rabbinate. And the most surprising face in the crowd? Mine — the guy who never liked services, wouldn’t join a synagogue and never got involved. I have finally found my spiritual home — soulful and musical, original and inspiring — a true reflection of the woman I fell in love with. October 1967: The “Death of Hippie” celebration. We wheeled an empty, open coffin down San Francisco’s Haight Street and thousands of people threw symbolic items into it — beads, swatches of long hair, patchouli-scented incense, tabs of LSD. For me, the burial of the media-created concept of “hippie” — exactly 40 years ago — signaled the end of the “Summer of Love” and the beginning of a new phase: looking for ways to recreate, without drugs, those intense, life-changing experiences I’d had. During the next few years, I, like many others — including lots of Jews — embarked on a search. I breathed deeply at yoga ashrams, meditated at Buddhist retreats and lived in communities where I hoped to be spiritually nourished. If these places had at their core a faith that was alien to me, it didn’t matter. What mattered was whether or not they brought me closer to what I was looking for: wonder, mystery, connection. In the latter part of the 1970s I lived in Israel — two years on a kibbutz and five in Jerusalem — still searching for the transcendental. On the occasions when it came, it was through contact with nature, or the kinds of activities popular in the 1970s: bioenergetics, psychodrama. For years I worked in Jerusalem’s Old City, always a source of wonder for me. I moved to Los Angeles in 1981. Earning a living and raising children put my spiritual search on the back burner until 1988, when a friend urged me to go to Makom Ohr Shalom (“Place of the Light of Peace”). On my first visit there, a congregant in his late 30s redid his bar mitzvah — his first, at age 13, had left him with bitter memories. Now, among friends, tears running down his cheeks, this bar mitzvah 2.0 was a profound spiritual experience. He was finally a man. And I’d finally found my place. I continued attending Makom until 1993, when the founding rabbi, Ted Falcon, moved to Seattle. After that I drifted away from Makom and I’ve rarely been to any organized service since. I’m not affiliated with any synagogue. Hardly anyone I know is. On those rare occasions when I step inside a “typical” shul, I feel as if I’ve trespassed on private property, as if I’ve walked into an alien country that doesn’t recognize my tribe: Jews who lived fully in the 1960s and have been searching for that lost Garden ever since. For me, the itch for mystery and connection never waned. At 67, I find myself still yearning for a real-life place of stories and myths that reveal life’s hidden depths; a place intent on repairing the world and repairing ourselves; a place of music and healing, of connection to others and to something larger than ourselves. A place where I would feel my soul resonate, where I could experience a current version — a Jewish version — of that individual and communal joy I remember from 40 years ago. I do not expect synagogue life to change on my account. But, as my experience at Makom nearly 20 years ago showed me, many congregations have evolved over the last 40 years, and there are now places of Jewish worship that have absorbed the spirit of the 1960s. Places where I might feel comfortable and welcome. So, this past summer, I made the rounds of alternative synagogues, minyans and chavurot in Los Angeles, to see whether any spoke to me. I visited more than a dozen places that aspire to the spiritual life I associate with the 1960s: They’re egalitarian, inclusive, committed to social action and steeped in music. They seek joyful experience instead of dogma, connection to one another and the outside world rather than status, healing instead of judgment and passionate involvement rather than merely showing up and mouthing prayers. Some of those I visited meet just once or twice a month, and most function as communities “without walls,” places with no bricks-and-mortar building of their own. In some cases, they meet in a church, either in the main chapel — where symbols of Christianity are temporarily covered — or in a smaller study or library. Some gather in homes. Often, they put little or no stress on the look of the meeting place, depending on the zeal and devotion of the participants to provide the ambience. Some groups are “self-led,” with no rabbi or cantor. More than half have women rabbis, and all have women in positions of leadership. Many of these groups reach out to non-Jews and welcome those interested in conversion, as well as interfaith couples — people who, according to their own accounts, do not feel comfortable in a normal synagogue. Still, the growth of these groups and their practices prompts the questions: Is there a right way or a wrong way to be Jewish? And just who gets to decide? The Web site for IKAR (“Essence”) — a community practicing passionate, egalitarian prayer and committed social action — makes this promise: “Not your bubbe’s synagogue.” The same could be said about all the places I visited. A bit of history. In 1968, soon after the “Death of Hippie” celebration, in the same neighborhood where we’d wheeled the coffin, The House of Love and Prayer opened its doors as a Neo-Chasidic outreach to Haight-Ashbury’s young, Jewish-born denizens. They are minyanim, or spiritual communities. They have evolved from shared and individual dreams and from serendipitous, profound and beshert connections. They are new, egalitarian, independent, warm, collaborative and vibrant. And they are all led by female rabbis. Ahavat Torah, with Rabbi Miriam Lefkovits-Hamrell, meets Saturday mornings in rented space at Adat Shalom in West Los Angeles. Ikar, with Rabbi Sharon Brous, holds biweekly Kabbalat Shabbat services at the Roxbury Park Community Center in Beverly Hills. And Nashuva, with Rabbi Naomi Levy, hosts a monthly Kabbalat Shabbat service at the Westwood Hills Congregational Church in Westwood. Technically, a minyan is a quorum of 10 people, traditionally men, which is necessary for reciting certain prayers and performing certain rituals, according to the Mishnah. In the United States, however, the minyan emerged as an independent prayer group created and led by lay leaders in the late ’60s and ’70s, an outgrowth of the havurah movement. An example is the Library Minyan, formed in 1971 and originally housed in Temple Beth Am’s library. A more recent example is Shtibl Minyan, founded in 2000, which meets in The Workmen’s Circle in Los Angeles. “A minyan is a natural answer to what many refer to as Judaism’s ‘edifice complex.’ It attracts Jews interested in praying, who can do that anywhere,” said Isa Aron, professor at Los Angeles’ Hebrew Union College-Jewish Institute of Religion and founding director of the Experiment in Congregational Education. “I think a lot of people are looking for that spiritual high and, guess what, these independent minyanim are actually offering it,” Wolfson said. They’re also offering fellowship, a commitment to social action and a rabbi at the helm. “Right now I really consider myself living my dream,” said Lefkovits-Hamrell, who was ordained in May 2003 through the Academy of Jewish Religion and who became the spiritual leader of Ahavat Torah, meaning love of Torah, shortly thereafter. As a child in Israel, the goal of becoming a congregational rabbi was unreachable. She would sit in shul, a mechitzah between her and her father, and ask why they had to be separated. “On Simchat Torah I yearned to hold and dance with the Torah,” she said. Finally, when Lefkovits-Hamrell and her family moved to Los Angeles in 1969, she was able to hold a Torah and later become a bat mitzvah. And while she married and raised three now-grown sons, she continued to pursue her dream, always studying and working as a Jewish educator. Along the way she even acquired her own Torah, which sits in a case in her living room. Her dream became a reality when a friend introduced her to a group who had formed Ahavat Torah as a lay minyan a few months prior. And they decided Lefkovits-Hamrell fit with them. She described her minyan, which recently celebrated its one-year anniversary, as “Conservative/Reform/Chasidic,” with lots of singing, clapping and even spontaneous dancing in the aisles. She and lay cantor Gary Levine, an executive at Showtime, lead it. Adhering to their motto “One Torah, Many Teachers, One Community,” it is participatory, with congregants reading Torah, presenting d’vrai Torah and leading discussions. Following services, members share a potluck dairy lunch. Learning continues during the week, with many taking part in one of three study groups that Lefkovits-Hamrell facilitates. They also observe holidays and socialize together. Ahavat Torah also boasts a strong program of gemilut chasadim — acts of lovingkindness. “We give each other a lot of help, being there as family,” member Lois Miller-Nave said. And Lefkovits-Hamrell remains in close and constant contact with her congregants. Membership numbers about 70, with a goal of 120. Visitors are effusively welcomed, and dues are reasonable “so as not to exclude anyone,” said member Rick Nave. Most congregants are in their 50s and 60s, though the minyan has celebrated its first bar mitzvah, with a second one coming up. And this year, Ahavat Torah will hold its first High Holiday services, at Congregation Kehillat Ma’arav in Santa Monica. But the Saturday morning minyan, which attracts between 40 and 70 people, remains the group’s focus. “These people deeply care about Judaism and search for meaning and spirituality. That’s what unites us,” Lefkovits-Hamrell said. For more information, call (310) 362-1111. “For the last couple of years, I’ve been dreaming about what kind of spiritual community I could help build,” said Sharon Brous, rabbi of Ikar, which means root or essence. One force fueling this dream was her two-year stint as a rabbinic fellow at Manhattan’s Congregation B’nai Jeshurun — which she describes as “the country’s most vibrant, compelling Jewish community — following ordination from the Jewish Theological Seminary. The other force is her continuing work as rabbi for Reboot, a network of 25- to 35-year-old Jews who are creative and intellectual trendsetters but don’t always resonate to traditional Jewish ways. Brous’ dream began to materialize when a friend connected her with three couples desperately seeking to make Shabbat central in their lives. “We sat on the verge of tears, feeling something of great importance was happening. It felt beshert,” Brous explained. They held an experimental service in April, expecting 40; 135 showed up. The group then raised enough money to hire Brous full time. Since June, services have been held biweekly, a family picnic followed by Kabbalat Shabbat. The service, led by Brous and second-year rabbinic student Andy Shugerman, is primarily in Hebrew, a combination of the Conservative siddur and Shlomo Carlebach melodies. Text study is incorporated into the service, and Brous’ d’var Torah weaves together congregants’ reflections. Ikar is planning to hold High Holiday services at the Westside Jewish Community Center, and afterward will add a monthly Saturday minyan to the schedule. Brous and the Ikar board work closely to create a community that reflects the group’s values in all areas, from the arrangement of chairs to the structuring of dues. In addition to money, members are asked to contribute toward community building, tikkun olam and learning. Tikkun olam is especially critical to Brous. She wants people’s spiritual development to lead to transforming the world. And the learning piece, which will include studies for children in kindergarten through bar and bat mitzvah, is important to many parents. But the core values remain important to everyone. “We want to do away with what’s orderly, precise and dignified and build a place where people have a spiritual encounter that’s profound and joyous and creative and transformative,” Brous said. For more information, call (310) 450-9679 or visit www.Ikar-la.org . “Time for what?” Rabbi Naomi Levy asked two friends who had invited her to breakfast last April. Levy knew from age 4 that she wanted to be a rabbi. She entered the Jewish Theological Seminary in the first class of women and spent seven years as rabbi of Mishkon Tephilo in Venice. She has spent the last seven years writing the best-seller, “To Begin Again” (Ballantine, 1999) and “Talking to God” (Knopf, 2002). Levy decided to act. Looking for an available location, she cold-called a church whose facade she often admired. “Did you call me because you know my husband is Jewish?” the reverend asked. Levy and the Rev. Kirsten Linford-Steinfeld met that afternoon. “We both felt like we were led to each other, like we’d known each other our entire lives,” Levy said. Things promptly fell into place. Levy knew the name would be Nashuva, meaning “we will return,” from the last line in Lamentations. She also knew prayer would be meaningless if not linked to social action, and immediately she and Linford-Steinfeld committed to joint monthly projects. Levy, who is married to Jewish Journal editor-in-chief Rob Eshman, met with 11 founding members around her dining room table to make this happen. She created a prayerbook with every Hebrew word transliterated and with accompanying English prayers in simple, poetic language. She also assembled a group of eight musicians and gathered music from Jewish Eastern European, Sephardic, African and other traditions. Levy committed to one service each month, beginning last June. And each so far has overfilled the church, which seats 250. Nashuva is also planning a Tashlich service for Rosh Hashanah, with a drumming circle, shofar blowing and dancing on Venice Beach. Other High Holiday services will be announced on Nashuva’s Web site. Last month, the standing-room-only crowd showed that Levy’s joyful and intimate approach has touched a chord among all types of Jews: young parents (Nashuva provides free child care and a children’s service), singles, seniors, interfaith couples, traditional affiliated Jews and adults whose last visit to shul was on their bar mitzvah. They swing and sway to upbeat and moving melodies. They listen raptly to Levy’s engaging and insightful d’var Torah. “There’s a wonderful sense of community in the room, even if you don’t know anyone,” said Carol Taubman. At this point, Nashuva is privately funded. Levy said she believes people who value the experience will make free-will offerings. “When people come to Nashuva and feel elevated and [have] an honest communication with God, I feel blessed. When people come to Nashuva and then go and serve in the community, I feel overwhelmed,” Levy said. For more information, visit www.nashuva.org . Are these new minyanim a threat to established synagogues? Ever since the destruction of the Second Temple in 70 C.E., when Jewish life became cooperative rather than hierarchical, Jews have been forming, disbanding, merging and splitting prayer communities. “This is an old tradition in the Jewish world,” Wolfson said. To be fair, synagogues themselves are offering minyanim and alternative services, from Beth Jacob Congregation’s Happy Minyan to Adat Ari El’s One Shabbat Morning to University Synagogue’s Great Shabbos.